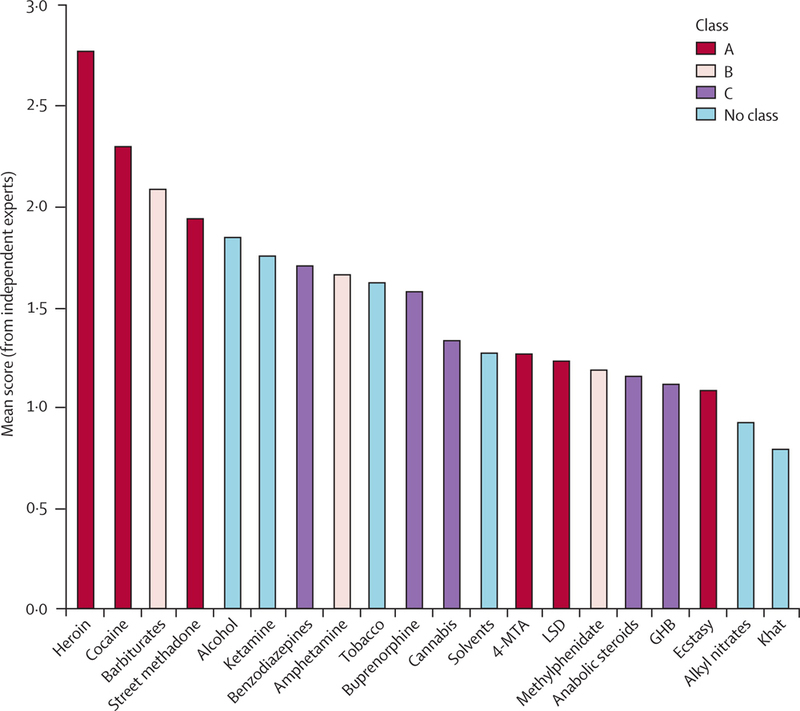 The classification (colored bars) is UK-based, under their Misuse of Drugs Act. I’m not condoning any recreational drug use by posting this. But I’m surprised that legal, easy-to-get drugs like tobacco and alcohol scored as more harmful than some illegal substances. It seems so arbitrary. No? Our results also emphasise that the exclusion of alcohol and tobacco from the Misuse of Drugs Act is, from a scientific perspective, arbitrary. Neither the rank ordering of drugs nor their segregation into groups in the Misuse of Drugs Act classification is supported by the more complete assessment of harm described here. 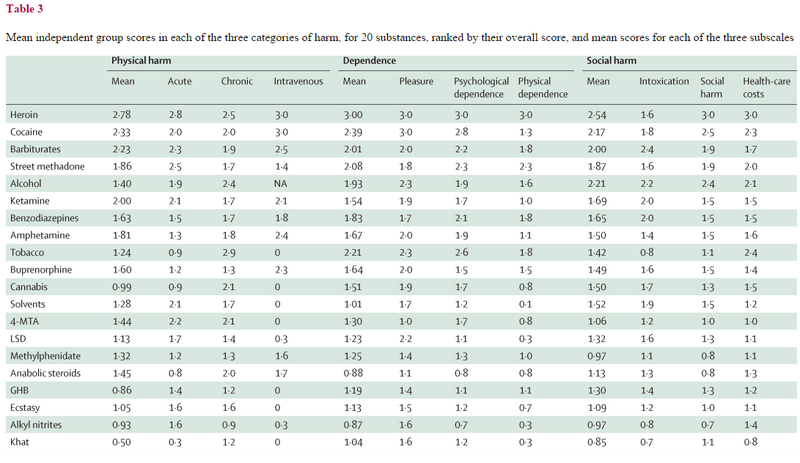 Interestingly, alcohol and tobacco are both in the top ten, higher-harm group. … [As such, in a three-category classification system] would have harm ratings comparable with class A and B illegal drugs, respectively. Take tobacco, for instance. Smoking tobacco beyond the age of 30 years reduces life expectancy by an average of up to 10 years, and it is the commonest cause of drug-related deaths, placing a huge burden on health services. However, tobacco’s short-term consequences and social effects are unexceptional. This entry was posted in Uncategorized on December 21, 2015 by Bix.